Enchanted Kingdom is located directly next door to an emergency trauma unit, remarkably convenient for a park with a Vekoma Boomerang in it. Unfortunately (or otherwise) the Space Shuttle was closed for refurbishment, with completion scheduled for the fourth quarter of this year. This particular machine was originally built for a park in England almost thirty years ago, and given that the renovation could well be driven by necessity; perhaps I'll get back to ride it some day. The only other credit in the place is a standard Roller Skater (#1435), which is not a ride even the most obsessive enthusiast would fly all the way to the Philippines for. The locals appeared to love it though, and I guess that's what counts. In addition to the operational coaster we also tried the Wheel of Fate (yikes) for overhead photography, and a simulator ride showing Lego Racers. The latter didn't have any obvious plot, but the motion effects at least worked well. We were the only two visitors in what was a medium sized auditorium, the only time I've ever had that happen! The park is fairly small by international standards, with a complete lap through the place on foot taking less than five minutes. However no expense has been spared on the theming, which really looks the part. Each of the park zones has a completely different feel, and the overall standard of presentation puts the park well up there with the best in the world. We didn't see the park at its best today, with two rides closed for maintenance and a number not scheduled to open until mid-afternoon, but we still came away impressed. The Festival Super Mall is possibly unique among worldwide shopping malls in that it features two different FECs. The smaller of the two is Pixie Forest, and its name might suggest it is targeted at the very young. 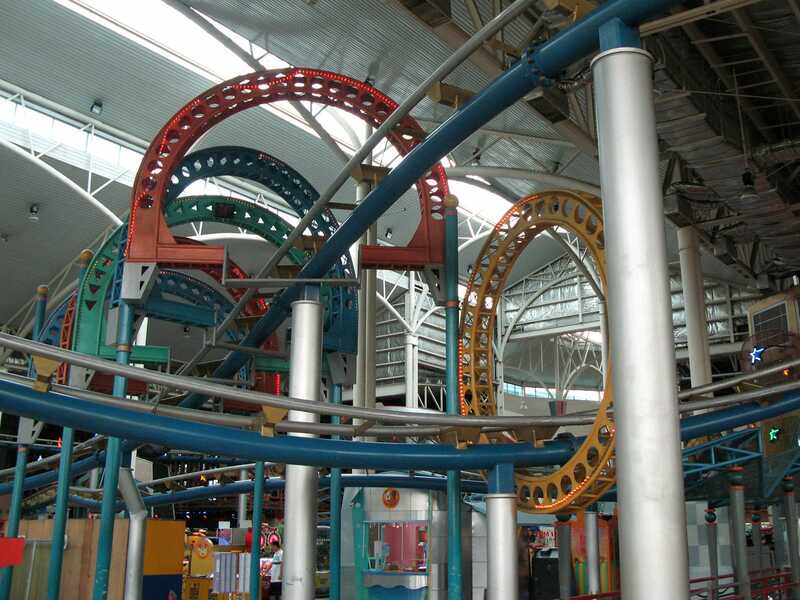 The one of interest to us today was X-Site, home to a substantial indoor roller coaster wrapped around a collection of arcade machines. X-Treme Coaster (#1436) packs a real punch, the highlight being a strong pop of airtime as the train crests the lift hill. This is particularly powerful in the back seat and comes as a real surprise to the first time rider, or at least those who have not read this trip report. 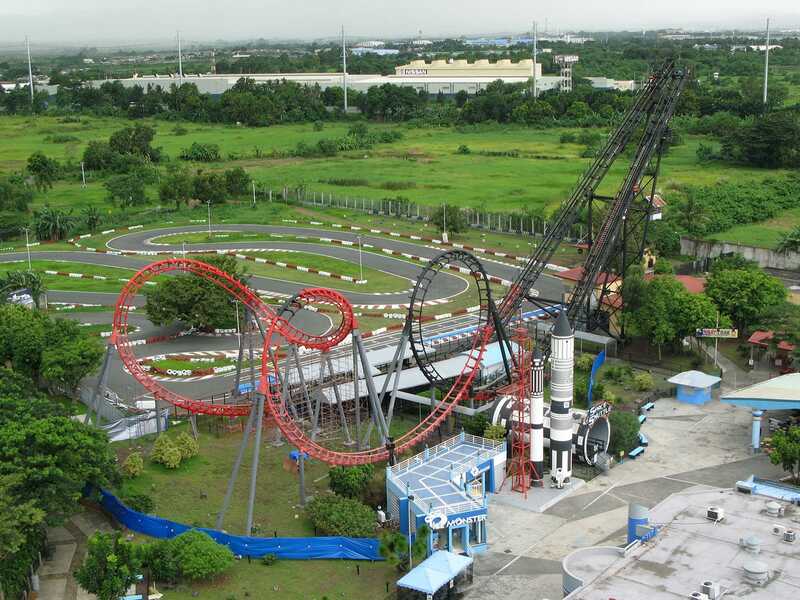 The rest of the layout maintains an enviable sense of speed and pacing, making it undisputedly the best of the four coasters ridden during our brief stay in the Philippines. Enthusiasts attempting to repeat this trip could do far worse than to arrange their car and driver with the helpful people at ManilaStay.com. The arrangements made for us worked perfectly, and our driver used his apparently encyclopaedic knowledge of the local roads to avoid the worst of the traffic. Relatively short journeys still took a very long time; Manila is not a city for people in a hurry; but I'm confident that they could have been far worse! Do not under any circumstances consider driving your own car in Manila. No westerner could cope. You have been warned.